“At this moment… in this place… the world gathers to say in one voice: Welcome, South Sudan. Welcome to the community of nations,” Secretary-General Ban Ki-moon said after the Assembly adopted a resolution, by acclamation, to admit Africa’s newest country. 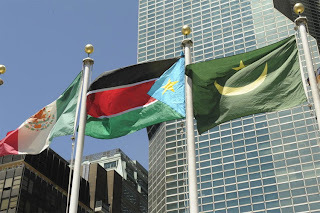 Mr. Ban, who was among the UN dignitaries who attended the independence ceremony in South Sudan’s capital, Juba, last Saturday, pledged the world body’s assistance as the country shapes its future. 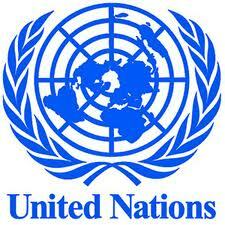 “The commitment of all Member States will be essential as South Sudan moves forward,” he stated. Speaking on behalf of South Sudan, Vice President Riek Machar said he was “honoured and humbled” to stand before Member States to convey the gratitude of his Government and people to the Assembly for admitting the new nation to membership in the UN. Mr. Machar also pledged that his country will work to foster peace in its region, while building a strong and viable nation at home. The latest country to join the world body had until now been Montenegro, which became the 192nd UN Member State on 28 June 2006, just weeks after it gained its independence from Serbia.